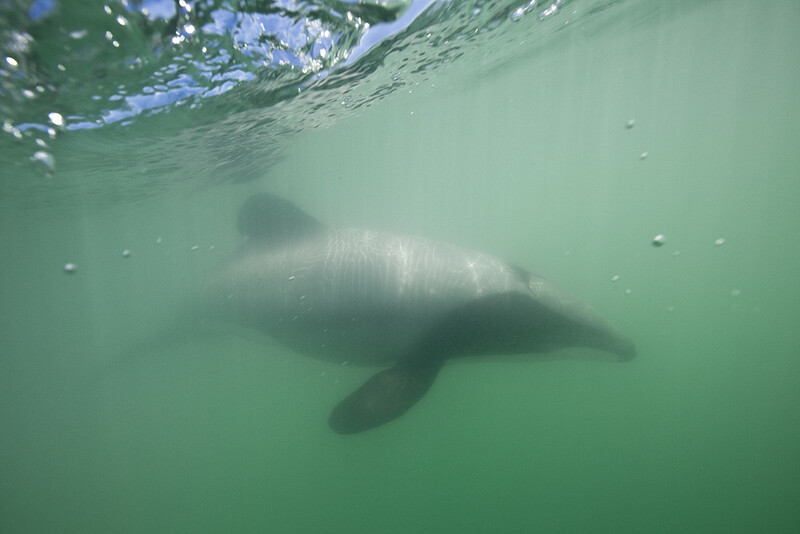 Currently, less than 30% of Māui dolphins' habitat is protected from set netting, and less than 8% is protected from both set netting and conventional trawling. 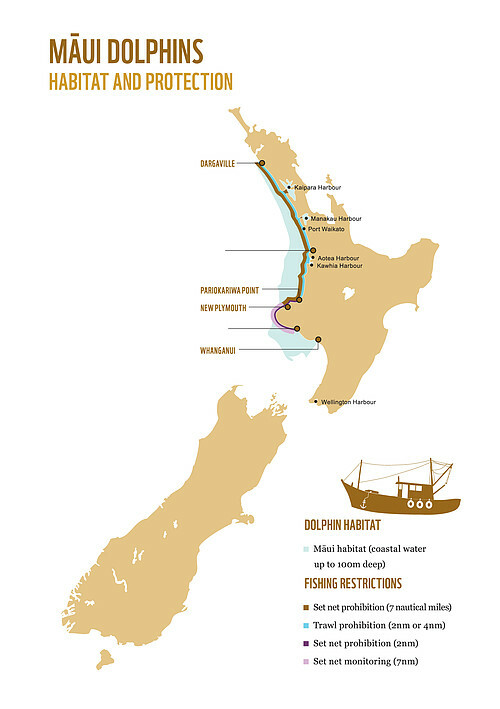 We know Māui dolphins range across their whole habitat. The more data we have about where they go, the more chance we have of protecting them everywhere they swim. ROUNDED FIN? SEND IT IN! 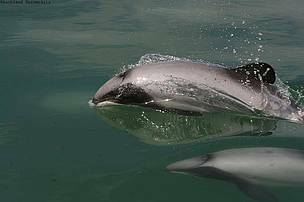 If you think you've seen a Māui dolphin, you can report it by calling 0800 4 MĀUIS, by downloading our iPhone or Android app, or here online now! If you're going to be on or by the water off the West Coast of the North Island this summer - fishing, surfing, swimming, or just hanging out - keep your eyes peeled for any dolphins with rounded fins on top. If you see one, it's really important that we hear from you. Will you take the pledge to report any Māui dolphins you see? That way, you'll receive an email from us with the numbers and links you'll need to report a sighting, so it'll be nice and convenient. Learn more about Māui dolphins and have all the information to report a Māui dolphin sighting at your fingertips by downloading our iPhone or Android app. Remember - Māui dolphins only live on the West Coast of the North Island. If you're in the South Island and see a dolphin that matches parts of this description, it's probably their close relative, the Hector's dolphin. If you see a stranded or dead Māui dolphin, please report it as fast as you can to the Department of Conservation on 0800 DOC HOT (0800 362 468). To report illegal set nets or other fisheries infringements, call the Ministry of Primary Industries poaching hotline on 0800 4 POACHER (0800 4 76224). The Māui dolphin habitat stretches all the way from Manganui Bluff in the north to the Whanganui River mouth in the south. But less than 30% of it is protected from deadly set nets, and less than 8% is protected from both set nets and conventional trawling. Scientists have told us and the Department of Conservation are responsible for over 95% of Māui dolphin deaths involving human activity. What's more, over 30% of their habitat is open for other risky marine activities, like oil exploration or seabed mining. That's where you come in. Your sightings help us to call on the government and fishing companies to protect these incredible animals. By being a dolphin-spotter, you become part of a nationwide citizen-science project - helping to save the world's most endangered marine dolphin. You will be contacted by an independent marine mammal expert from the Cawthron Institute, New Zealand's largest independent science organisation. They will validate (that is, confirm) your sighting. Then, we will then add your sighting to our database, and report it to the Department of Conservation. We'll also try to get in touch with you to discuss your sighting, and possiblty to ask if we can use any photos or video you get to help to protect these wonderful dolphins. 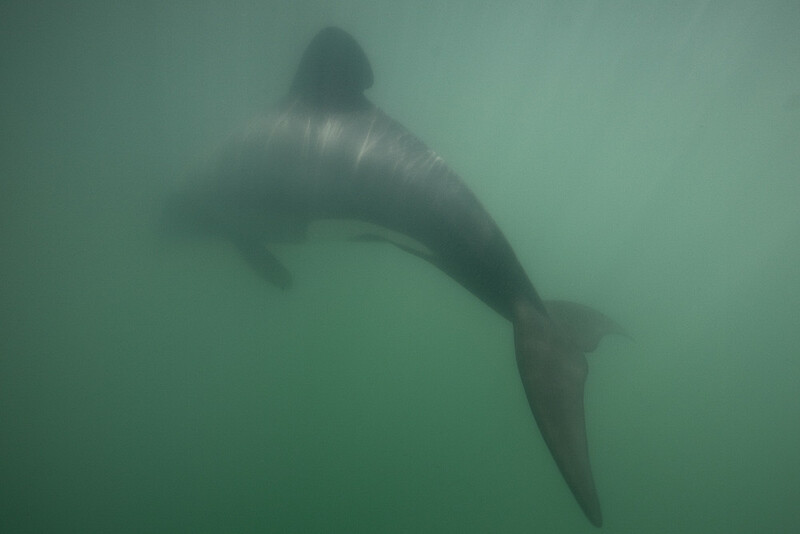 Many of the Māui dolphin photos on this page and elsewhere on our website were kindly provided to us by members of the public through our sightings line or app - thank you so much! We really appreciate your help.